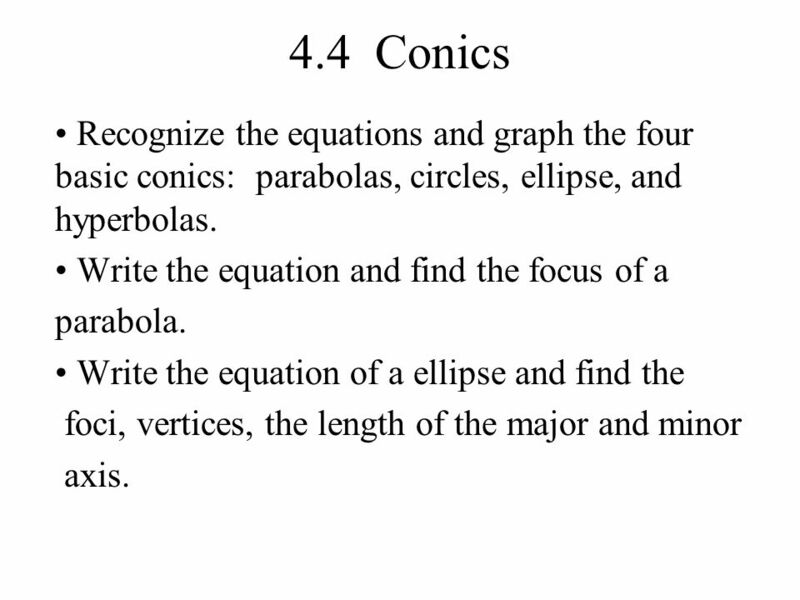 4.4 Conics Recognize the equations and graph the four basic conics: parabolas, circles, ellipse, and hyperbolas. Write the equation and find the focus. 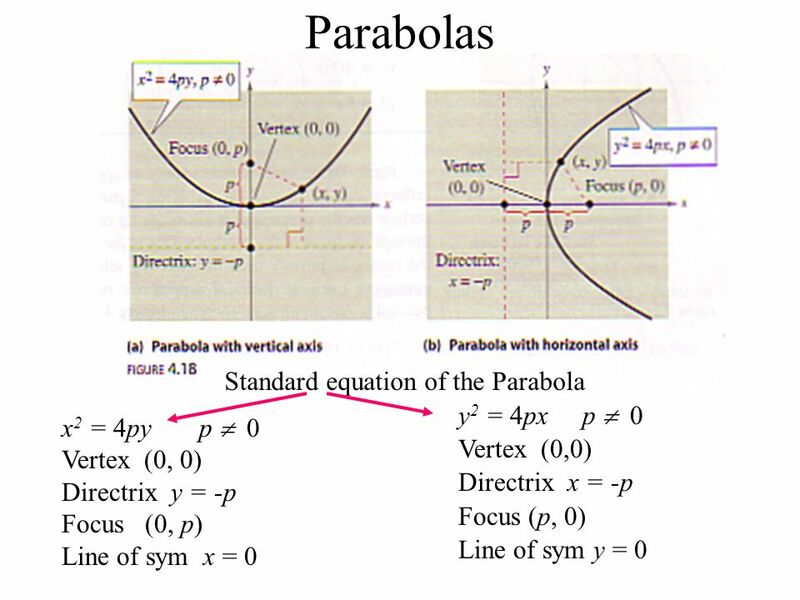 1 4.4 Conics Recognize the equations and graph the four basic conics: parabolas, circles, ellipse, and hyperbolas. 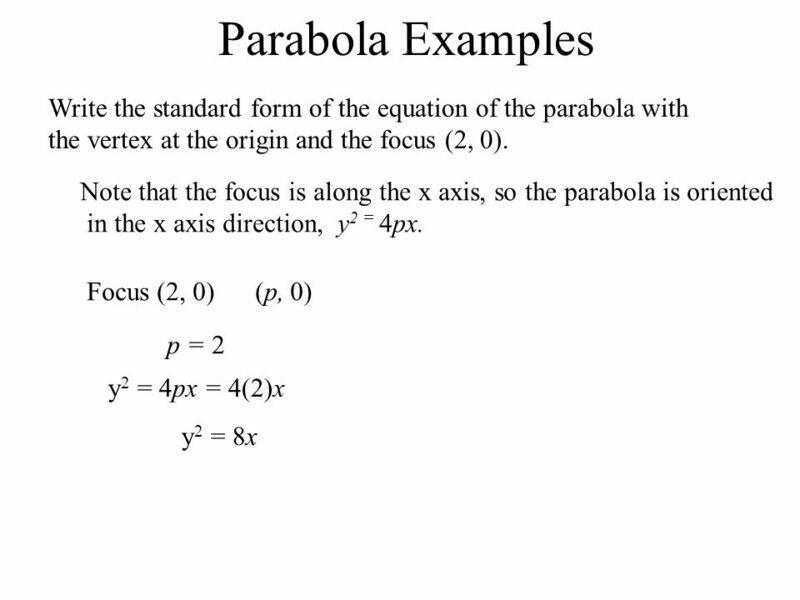 Write the equation and find the focus of a parabola. 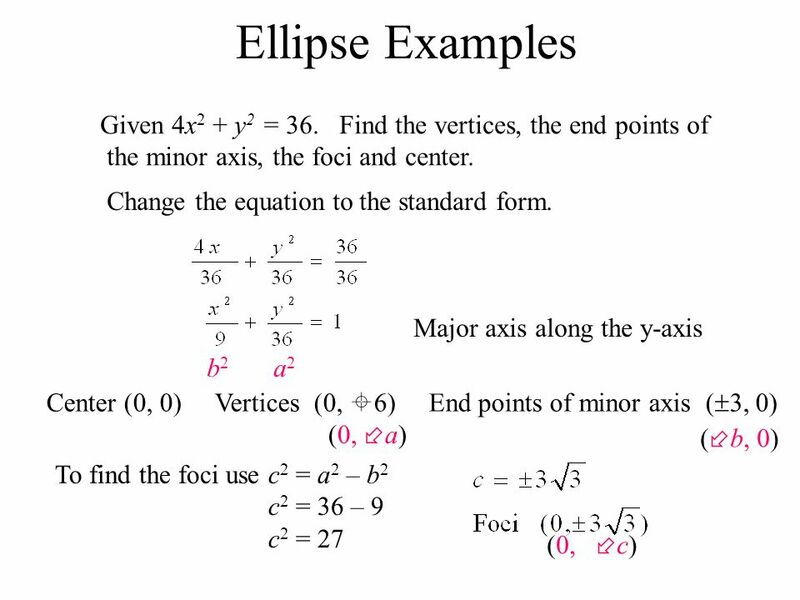 Write the equation of a ellipse and find the foci, vertices, the length of the major and minor axis. 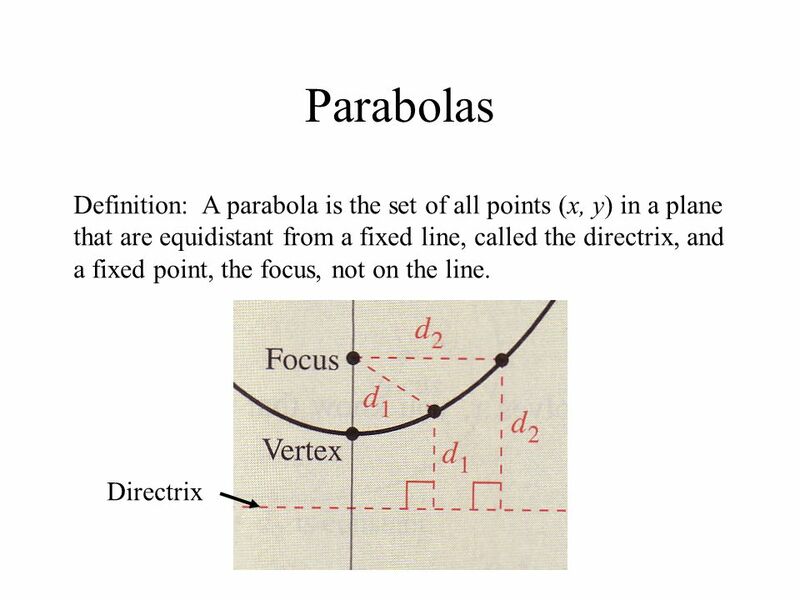 4 Parabola Examples Given Find the focus. 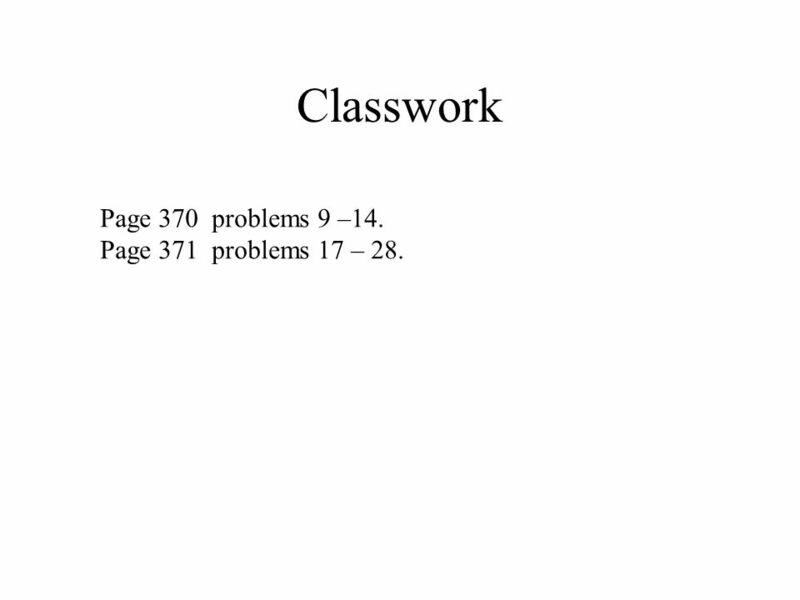 6 Classwork Page 370 problems 9 –14. Page 371 problems 17 – 28. 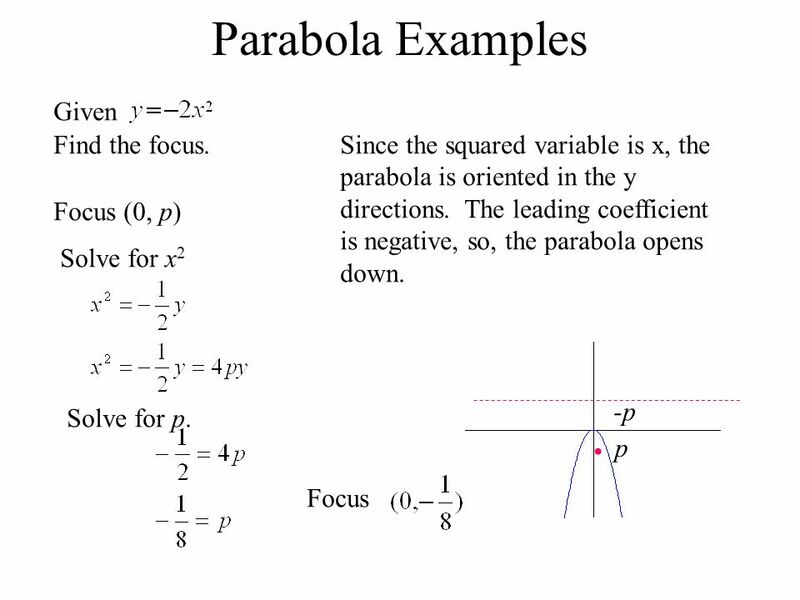 Download ppt "4.4 Conics Recognize the equations and graph the four basic conics: parabolas, circles, ellipse, and hyperbolas. Write the equation and find the focus." Conics Review Your last test of the year! Study Hard! 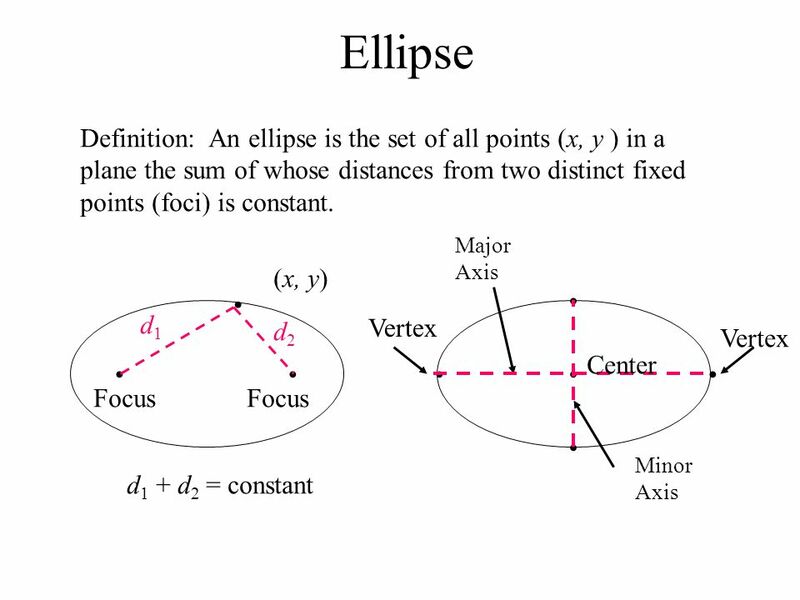 Mathematics 116 Bittinger Chapter 7 Conics. Mathematics 116 Conics A conic is the intersection of a plane an a double- napped cone. Section 9.2 The Hyperbola. 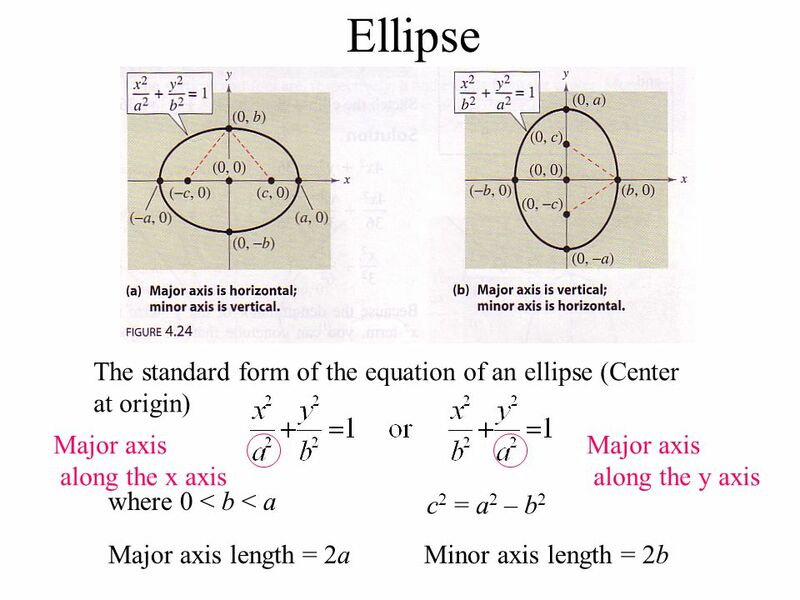 Overview In Section 9.1 we discussed the ellipse, one of four conic sections. Now we continue onto the hyperbola, which in. 10.1 Conics and Calculus. Each conic section (or simply conic) can be described as the intersection of a plane and a double-napped cone. CircleParabolaEllipse. Conics: Standard Form Pre-Calculus Conics part 1. Chapter 9 Notes Honors Pre-Calculus. Conic Sections Digital Lesson. Copyright © by Houghton Mifflin Company, Inc. All rights reserved. 2 Conic Sections Conic sections are plane figures formed. 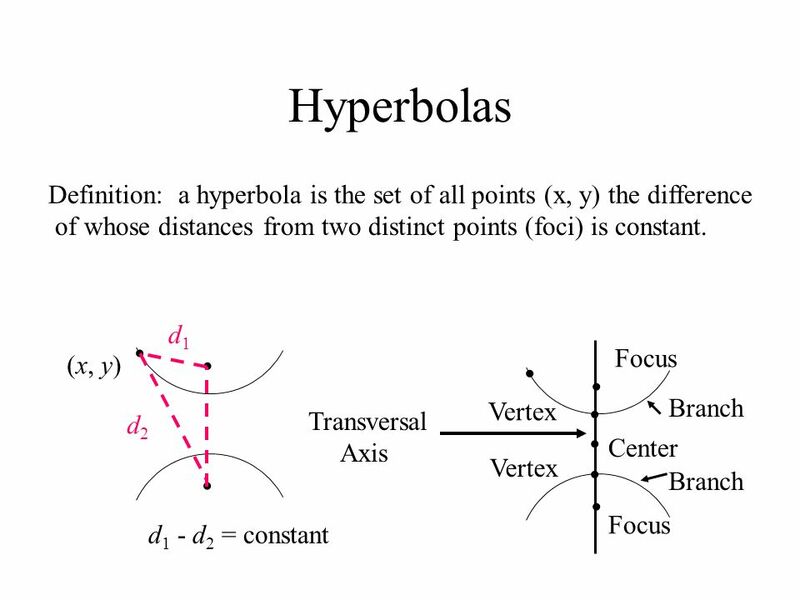 10.4 Hyperbolas JMerrill Definition A hyperbola is the set of all points in a plane, the difference of whose distances from two distinct fixed point. 10.5 Hyperbolas What you should learn: Goal1 Goal2 Graph and write equations of Hyperbolas. Identify the Vertices and Foci of the hyperbola Hyperbolas. Section 9-5 Hyperbolas. Objectives I can write equations for hyperbolas I can graph hyperbolas I can Complete the Square to obtain Standard Format of. C.P. Algebra II The Conic Sections Index The Conics The Conics Translations Completing the Square Completing the Square Classifying Conics Classifying.